Adding expense codes will allow you to identify the types of expenses that may be entered against specific projects. Expense codes will also allow you to track the kinds of expenses being recorded by TimeLive users. Then Click + Expense top-right green button. 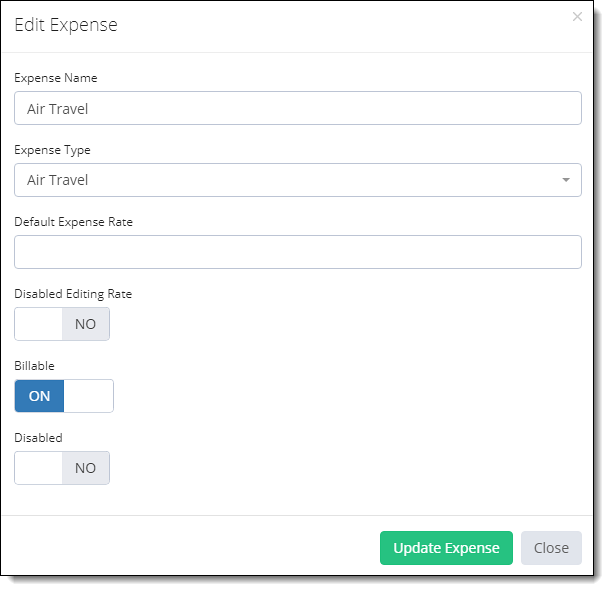 Enter default expense rate for expense codes which are quantity based. Example of default expense rate is mileage rate for expense Car Mileage. An administrator can define the rate for that expense here. 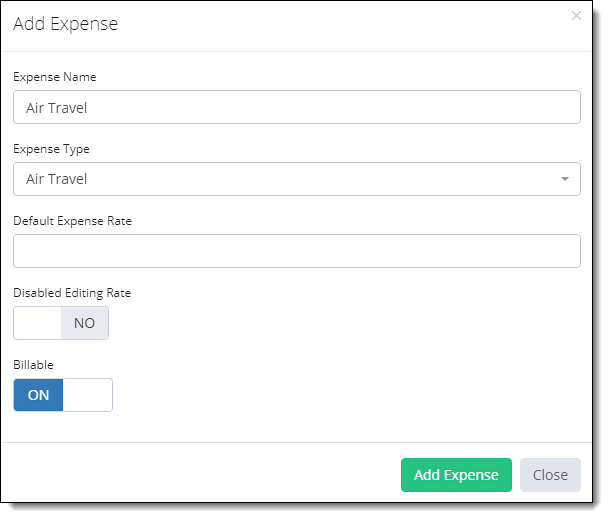 If an administrator doesn’t want the user to change rates in expense entry, an administrator can disable milage rate editing in expense entry by users, by enabling the Disabling Editing Of Rate Box. Click on Add Expense to add this expense. In Expense List, click on Gear Icon of Options to the one which you want to Edit then click Edit Expense option. Click Update Expense green button to update this record. In [Expense List], click on Gear Icon of Options to the one which you want to delete.